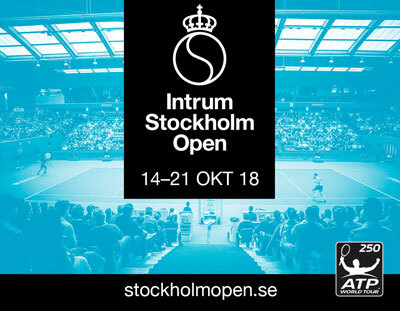 The third European indoor 250 tournament this week is in Stockholm where a host of Americans including John Isner and Jack Sock are set to feature. Top seed John Isner will take on his countryman Bradley Klahn or Marius Copil in round 2, Isner will also be favored against Lucas Pouille in the quarterfinals. Pouille should defeat Tennys Sandgren and a qualifier to reach the quarters. I’ll back home hero Elias Ymer to make a run, Ymer opens with a struggling Max Marterer, and then he should be favored against the terribly out of sorts Jack Sock, who has had one of the worst ATP seasons ever. Denis Shapovalov should go on a tear, a qualifier, and Mikael Ymer/qualifier will be the first two opponents for Shapovalov, then Shapovalov will be favored against Ymer. Fabio Fognini is in good form, and presuming he’s fit he should ease past Taro Daniel/Lukas Lacko, and then Taylor Fritz in the quarters after Fritz defeats Hyeon Chung and countryman Denis Kudla or Guillermo Garcia-Lopez. Stefanos Tsitipas will be favored in a tough section, John Millman/Peter Gojowczyk are first up, Fernando Verdasco will be favored against Matt Ebden, with Alex De Minaur favored against Phillipp Kohlschreiber. I have Verdasco over ADM, then Tsitsipas over Verdasco. The young guns Shapovalov and Tsitsipas are set to make the final this week with Canada’s young gun Shapovalov lifting the trophy at week’s end.